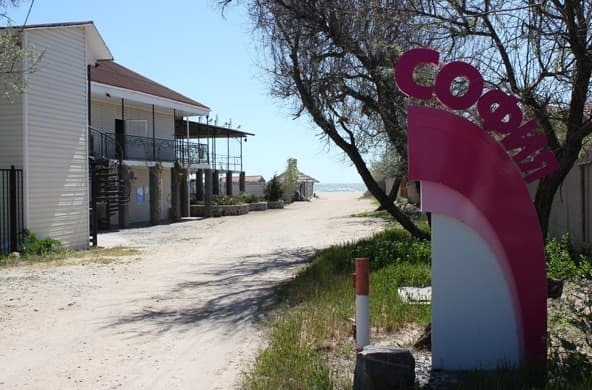 Holiday Village "Sofia" is located in a picturesque protected corner, on the coast of the Azov Sea, almost on the spire of the Far Berdyansk Spit (the first coastline). 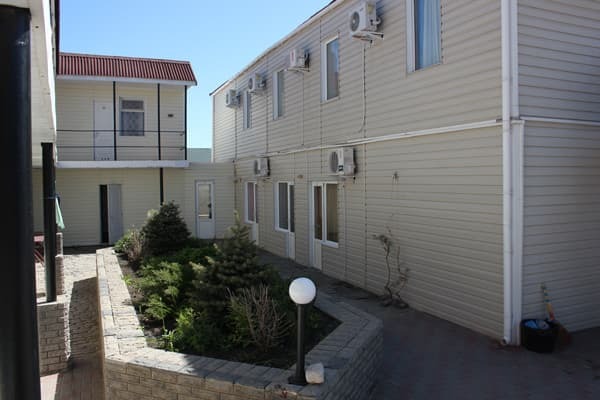 "Sofia" is a modern two-storey building with a cozy courtyard, the numbered fund of which is represented by comfortable rooms of categories "economy", "junior suite" and "luxury". 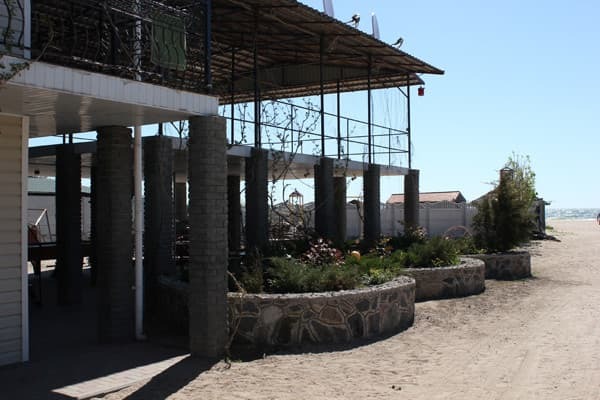 Each room of the hotel is equipped with air conditioning or fan, refrigerator and TV. Hot and cold water is supplied around the clock. To services of living: cafe with live music, billiards, children's playground, parking, free Wi-Fi. In the cafe there is an opportunity to order a complex two or three meals a day. 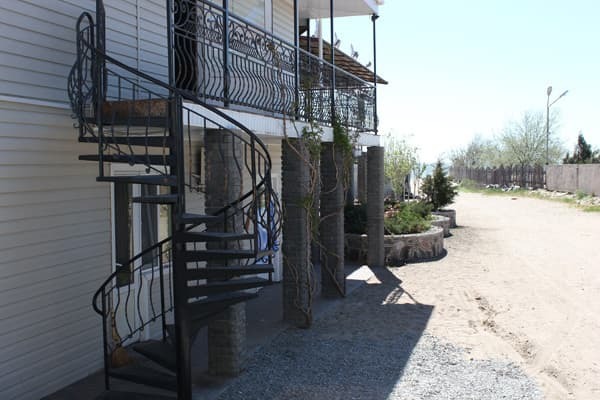 There is a private equipped beach with a cocktail bar. For lovers of fishing, an excursion to the sea is organized for the morning and evening fishing of the famous Azov bull. The distance to the railway station is 10 km, to the bus station - 12 km. 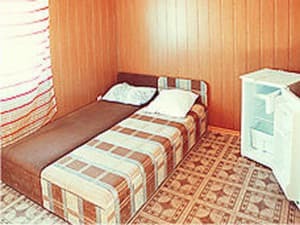 Description of the room: The cozy room is equipped with two single beds. Shower and toilet are located on the floor. Hot and cold water is served around the clock. Description of the room: The room is equipped with all necessary furniture. Maximum can accommodate up to 4 people. Description of the room: Comfortable two-room suite, equipped with a comfortable double bed. Уютные номера и комфорт. Спасибо это были впечатлительные дни. Расположение, дальняя коса, от остановки 5 минут, до моря 1 минута, пляж чистый, зонтики, номе довольно большой, все есть. Громкий холодильник, проходной двор, рядом лестница со второго этажа, часто бегают туда сюда. И это все перед окнами. The cost of extra bed is negotiated at the time of booking (by appointment). There is a possibility to order a complex two or three meals a day. 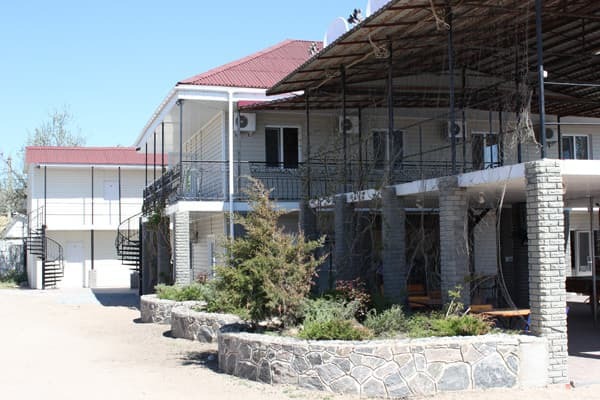 Holiday Village "Sofia" is located on the spire of the Far Berdyansk Spit (the first coastline). The distance to the railway station is 10 km, to the bus station - 12 km. From the railway station to the hotel you can get there by taxi # 15.